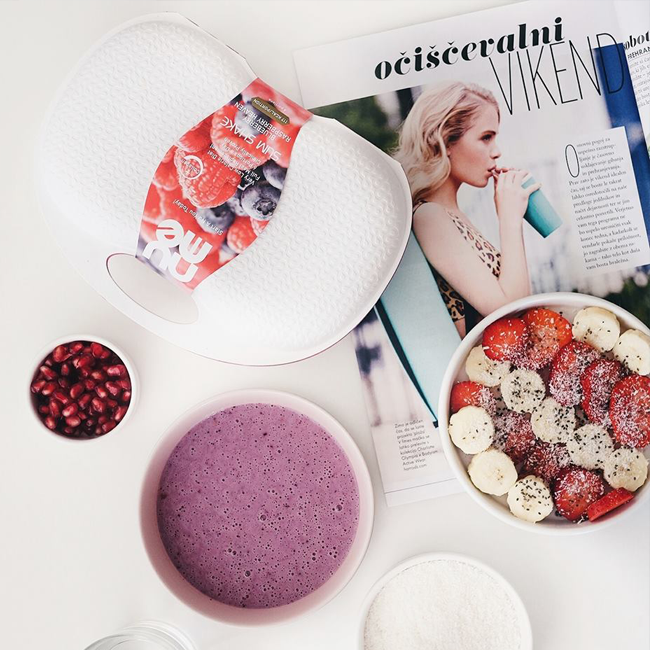 Packed with refreshing and nutritious flavours of delicious berry gems, nuMe Slim Shake with Collagen Blueberry Raspberry Heaven can help you finally change your eating habits. 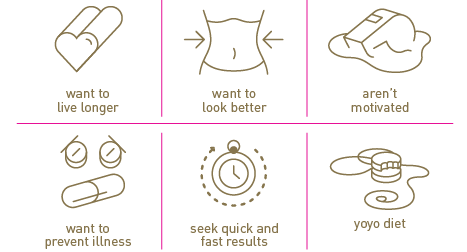 Making weight loss a delight with its heavenly berrylicious taste, this nutritious easy-to-mix slim shake has the power to transform your life forever and create a nu you today! nuMe Slim Shake with Collagen Blueberry Raspberry Heaven is an innovative nutritional solution specially designed to help you cope with moderate and severe weight problems. Packed with all vitamins, minerals and other essential nutrients your body needs to support healthy weight loss, it can be used as the sole source of food in a very low calorie diet (<800kcal). 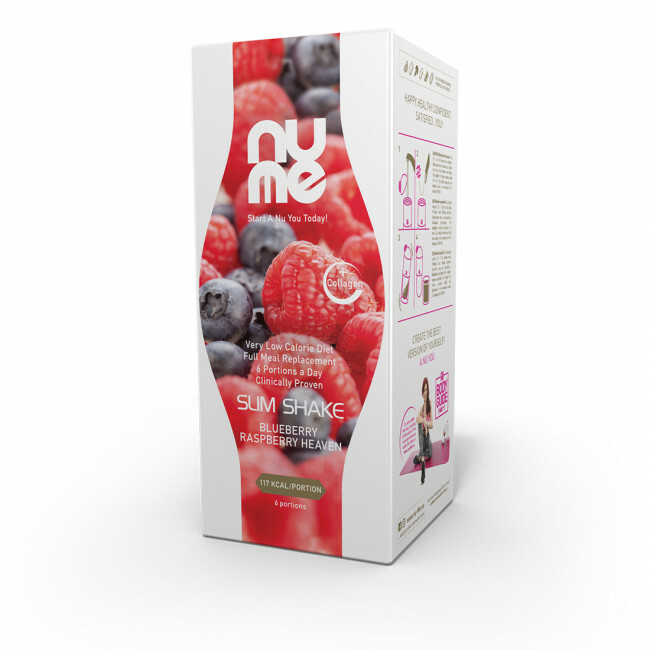 Developed by doctors, personal trainers and nutritionists to promote both health and beauty, nuMe Slim Shake with Collagen Blueberry Raspberry Heaven combines delightful berry essences and an efficient way of losing weight. If the freedom to feel and look beautiful while indulging in heavenly berry taste is what you are after, you have just found it! 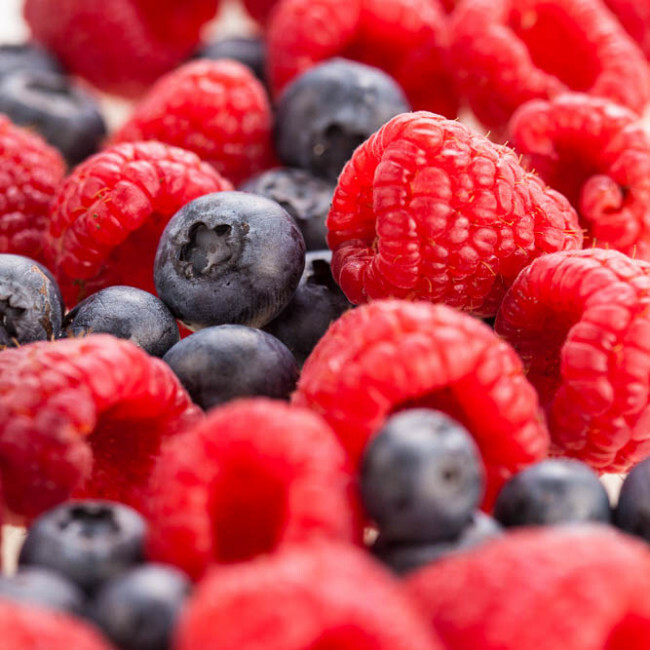 A daily menu of 6 smaller portions helps you adapt to a completely new way of eating and shrinks your stomach, so nuMe Slim Shake with Collagen Blueberry Raspberry Heaven changes your eating habits for good. Whenever you decide to go back to a more traditional diet, you will find it easier to limit your meals and maintain healthy weight. With its high nutritional value, low calorie count and enough protein to help you maintain your muscle mass, nuMe Slim Shake with Collagen Blueberry Raspberry Heaven can replace all your daily meals, paving your way to a nu – slimmer, healthier and happier – you. nuMe Slim Shake with Collagen Blueberry Raspberry Heaven can be used by most berryholics who want to lose excessive weight and enjoy a healthier lifestyle. The product is not recommended for children, young people, elderly people, pregnant women and people allergic to soy or milk. All you need for a tasty shake is one serving of nuMe Slim Shake with Collagen Blueberry Raspberry Heaven mixed with 250-300ml of water in a stylish nuME shaker/water bottle. 6 servings ensure that your daily nutritional needs in a VLCD (very low calorie diet) are fully met.